EMV is an acronym for EuroPay, MasterCard, Visa. It is a global standard for inter-operation of integrated circuit cards (IC cards or "chip cards") and IC card capable point of sale (POS) terminals and automated teller machines (ATMs), for authenticating credit and debit card transactions. “Smart” Credit Cards will now be equipped with a chip which provides an extra layer of security by allowing multiple authentication options based on information contained in the chip. from lost and stolen cards. Merchant will be liable for fraud loss if loss is a result of not having an EMV terminal to accept EMV cards. Where Is EMV Currently Used? The EMV standard has been in place for years across the globe. EMV is used in over 130 countries around the world. It prevents a great deal of counterfeit and fraudulent use of credit cards. The use of EMV involves a specialized terminal which accepts a chipped card, creating a greater layer of security. EMV uses 2 factor authentication. There are multiple forms of dual authentication for EMV cards. The most common one is chip and pin (meaning the card with the chip present will be authenticated with a 4 digit pin). Other options include chip and signature, and biometric authentication. EMV helps defeat counterfeit and lost/stolen credit card fraud. of global credit card fraud happens in the U.S. Fines, fraud loss, and damage to brand reputation. As a merchant, are you investing in security today? Average skimming attack nets $50,000 in fraud loss. What Are The Benefits of EMV Compliance? of Americans are affected by credit card fraud. Major merchants are adopting now. Protect your business before the October deadline. The experts at Barcodes, Inc. can help. Our trained specialists can help you with large or small solutions and equipment to ensure your business is protected and compliant prior to the October 2015 liability-shift deadline. Myth: U.S. is mandating chip and pin. Truth: EMV is not a mandate. It is optional, but merchants will accept the liability for charges resulting from counterfeit and lost/stolen cards. 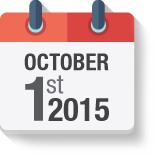 Myth: All merchants must be EMV-compliant by October 2015. Truth: Gas stations have until Ocober 2017 to implement EMV or accept the liability shift. Merchants accepting the liability shift will not have to implement EMV. Myth: Magnetic stripes will stop working. Truth: EMV Chip Terminals will also accept older magnetic stripe card swipes and transactions. Myth: EMV isn't going to happen. Truth: EMV has already been accepted and put into use elsewhere around the globe. The U.S. is last to adopt and timing has already been prescribed for those wishing to avoid the liability shift. Myth: Merchants that move to EMV are fully protected. Truth: Merchants will be protected from the liability of charges resulting from counterfeit or lost/stolen cards, which accounts for 51% of all credit card fraud. Myth: EMV and NFC are the same. Truth: NFC stands for Near Field Communication, in other words, a contactless terminal. Some EMV terminals include NFC functionality, but not all. If a contactless terminal is important to you, a Barcodes, Inc. expert can help locate the right model for your needs. Myth: Merchants will be fined if not EMV ready. Truth: Merchants are asked to comply with the EMV standard, but are not forced to. There is no fine, but the merchants will accept liability for fraud stemming from use of counterfeit and lost or stolen credit cards. Merchants will accept liability for fraud stemming from use of counterfeit and lost or stolen credit cards. In order to accept Apple Pay*, terminals will need to have an NFC (Near Field Communication) chip for contactless communication. Your processor and bank must be registered to take Apple Pay. The customer's card must be registered with Apple Pay. Processor turns on the capability to accept Apple Pay. * Not all EMV terminals will be able to accept Apple Pay, only contactless models. VALUE. SERVICE. EXPERTISE. THE BARCODES INC PROMISE.